I have occasionally picked up a DUPLO set with the intention of seeing how well it mixes with normal LEGO. 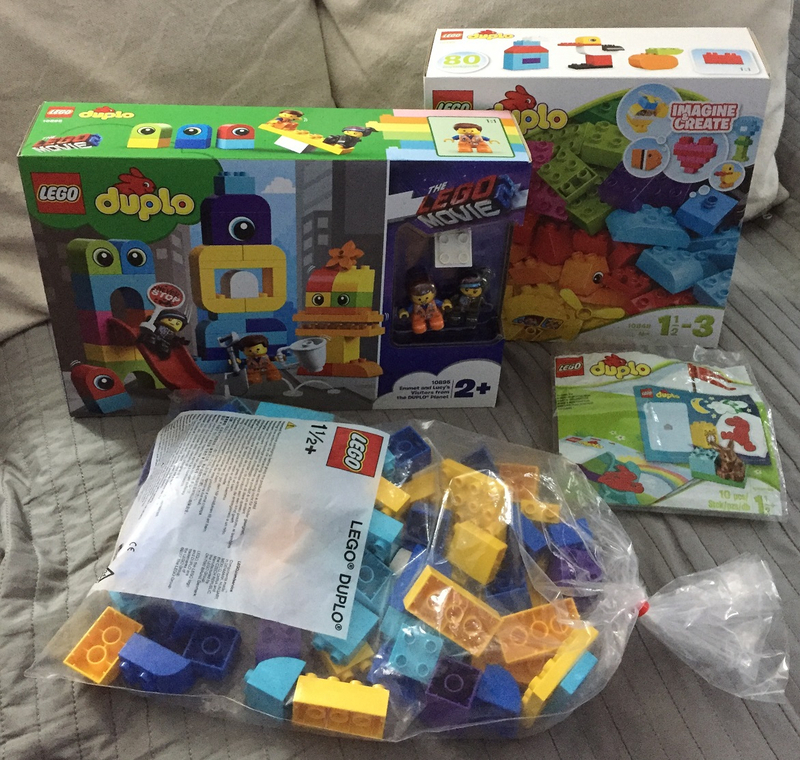 However, until The LEGO Movie 2 arrived, I hadn't actually opened one of the DUPLO sets I had purchased. 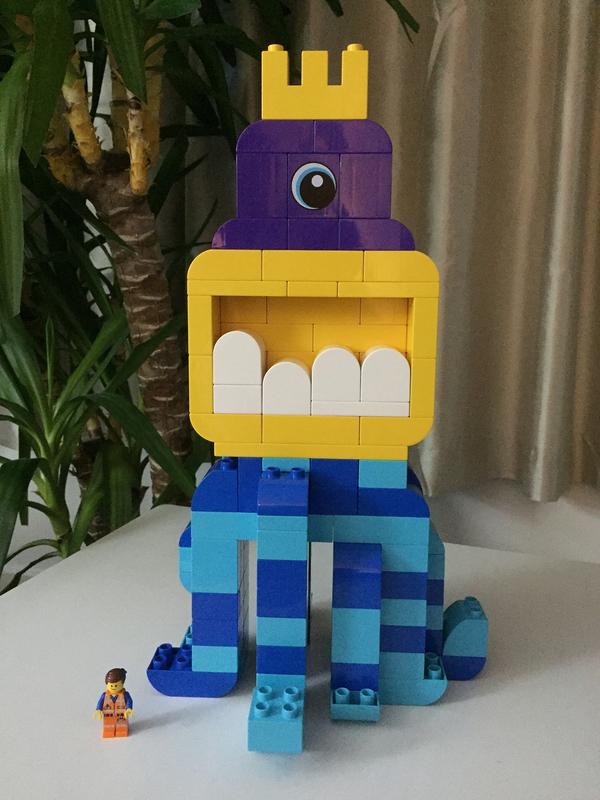 Then came the DUPLO planet aliens, specifically the large tentacled alien with one eye and a large mouth full of teeth! 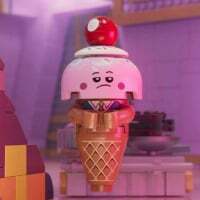 Of course, I bought #10895 Emmet and Lucy's Visitors from the DUPLO Planet which includes a small version of that alien along with DUPLO figures for Emmet and Lucy which are fantasic! However, the tentacled alien in the set wasn't satisfying, it was just too small. 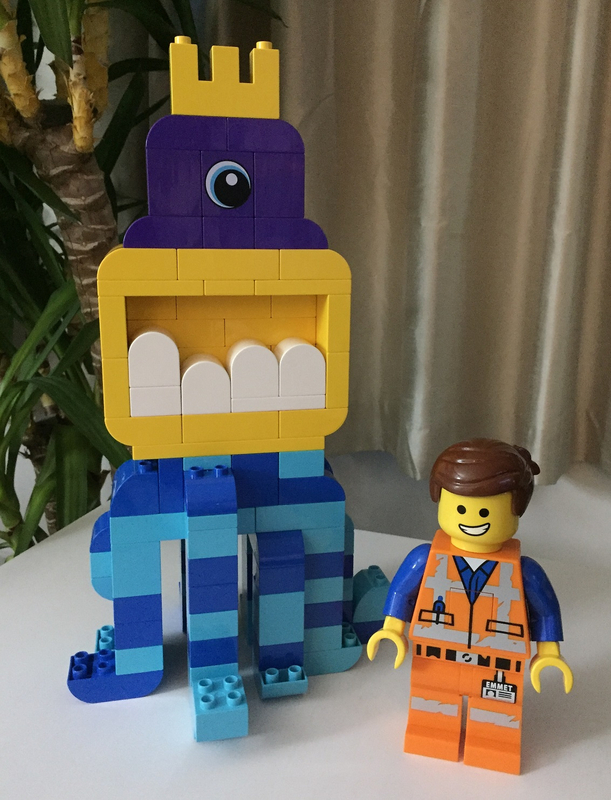 Along comes the movie guide to The LEGO Movie 2 and it includes a scaled up version of the tentacled alien. This one is virtually the same as the one at the beginning of the movie except for some colour changes. 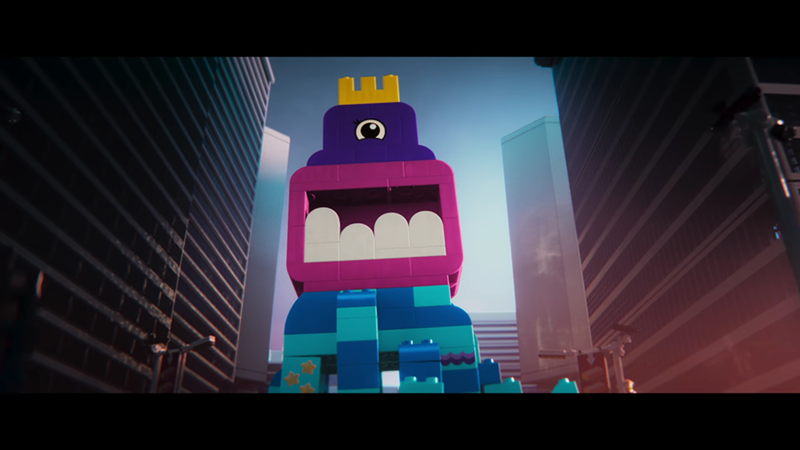 The main colour change being the mouth which is Yellow in #10895 and in the movie guide and in the large display at The LEGO House, while it appears to be Bright Purple in the movie itself. So I decided to try and build the large tentacled alien as shown in the movie guide with additional insights from the movie since the tentacles are the same in the movie and the fact that they are seen to move allows aspects not otherwise visible to be determined. Annoyingly, even the movie guide version of the large alien uses recoloured parts which don't exist! The crown (Wall 1X4X2 W. Arrow Slits) in Medium Azur being the most obvious example (I used a Yellow replacement). Another very annoying example is Brick 2X3X2 Outside Bow in Medium Azur. I used Brick 2X2X1.5 Outside Bow instead but that leaves a small gap so I will probably end up using a Dark Azur replacement. Note that movie version of the alien is even worse for recoloured parts since Bright Purple has no 2X4, 4X4, 4X6 or 4X8 plates. When I finished capturing the design, the final part count was exactly 120! 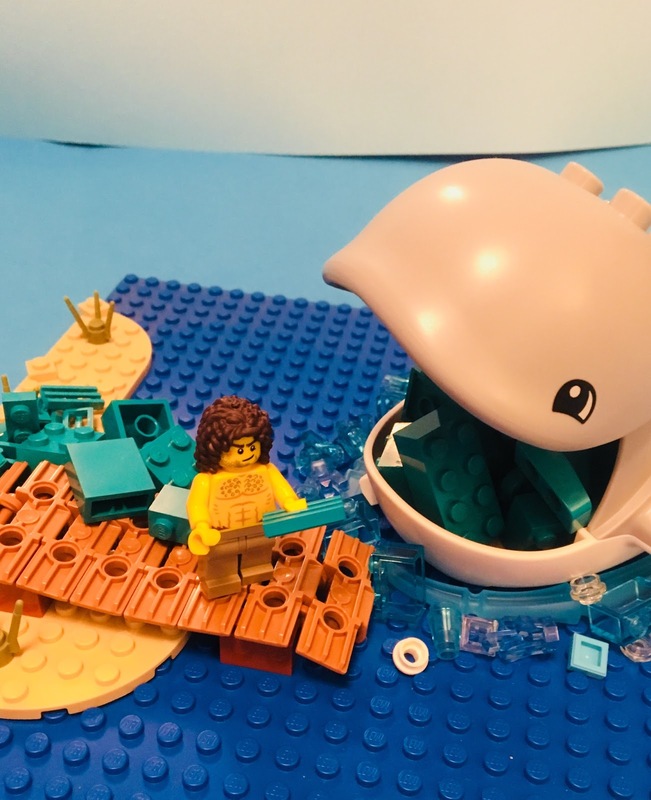 Sourcing the parts was the next problem since PAB doesn't sell any DUPLO and most BrickLink stores have tiny quantities of the required parts. 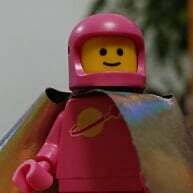 The only viable source was LEGO's replacement bricks service which is not cheap! In fact, apart from one printed part only available in #10895, the parts cost is £96.55. However, after factoring in #10895 along with #10848 My First Building Blocks which I ordered from Amazon along with #40167 My First Set which I picked up on eBay for the brown rabbit (my partner loves rabbits), the final replacement parts order was reduced to 78 parts costing £66.50. After opening the sets and extracting the required parts from each, I sorted them into a large IKEA storage box. For anyone with sharp eyesight and a quick mind, the White 2X6 Plate seen above was only a sorting mistake! The required White 2X4 Plate was also in #10848. 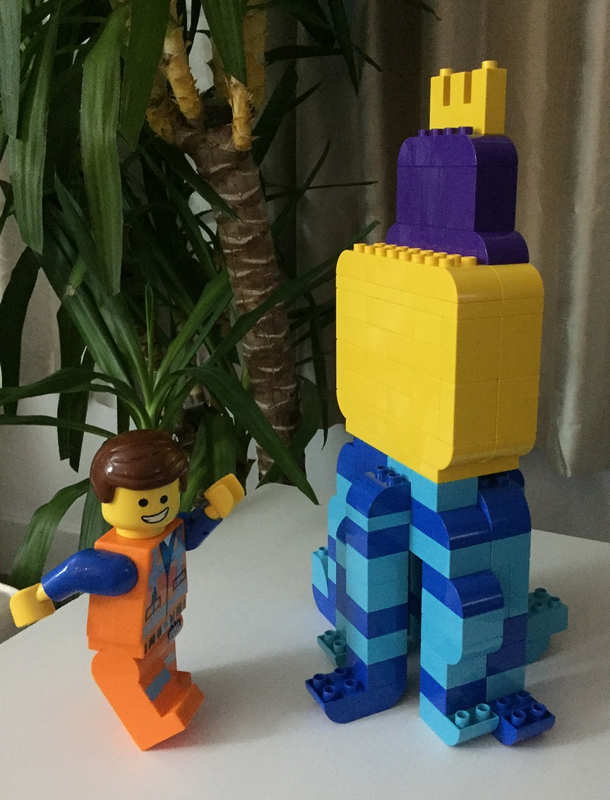 The finished alien with Emmet clearly shows how outmatched everyone was when DUPLO planet aliens invaded! 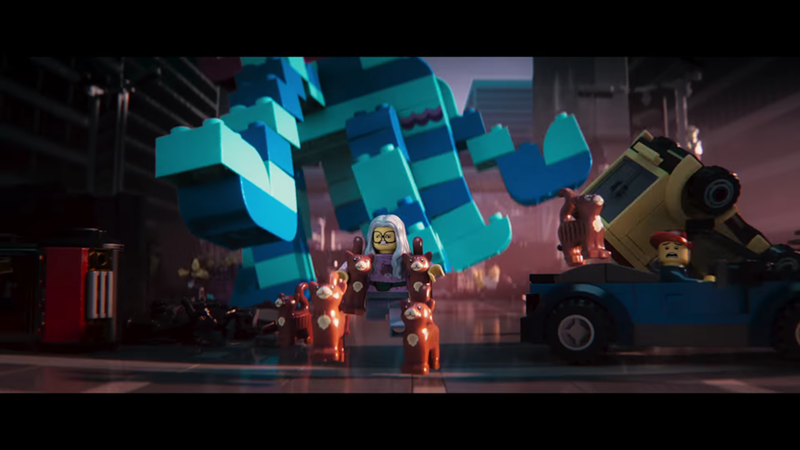 However, the surprise appearance of big Emmet spooked the alien who decided to make a run for it! 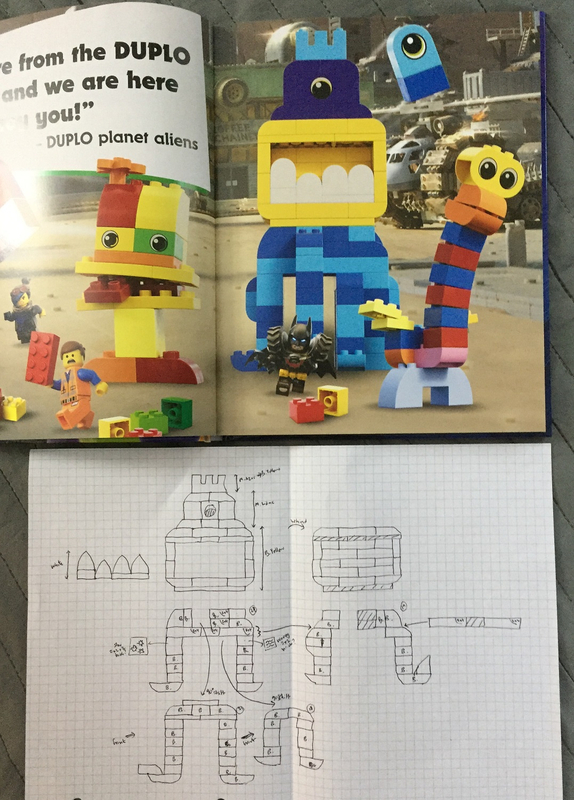 Has anyone else been building DUPLO planet aliens? Or working on other interesting DUPLO projects? Nice work. I'd thought about trying this exact one, except I had a feeling that as it appears in the movie was even bigger so was waiting for the film to come out on dvd before I officially added it to my massive list of projects that I'll most likely never get round to. 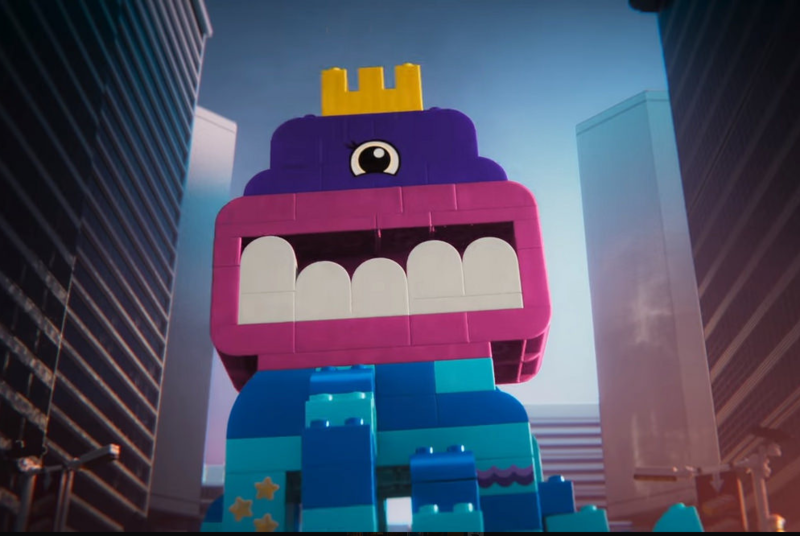 Another interesting comparison is the LEGO Movie 2 Game which remakes all of the Duplo creatures with system bricks (like the small ones that feature in the sets) worth looking at if you want to make an even more varied display of "Duplo" invaders. 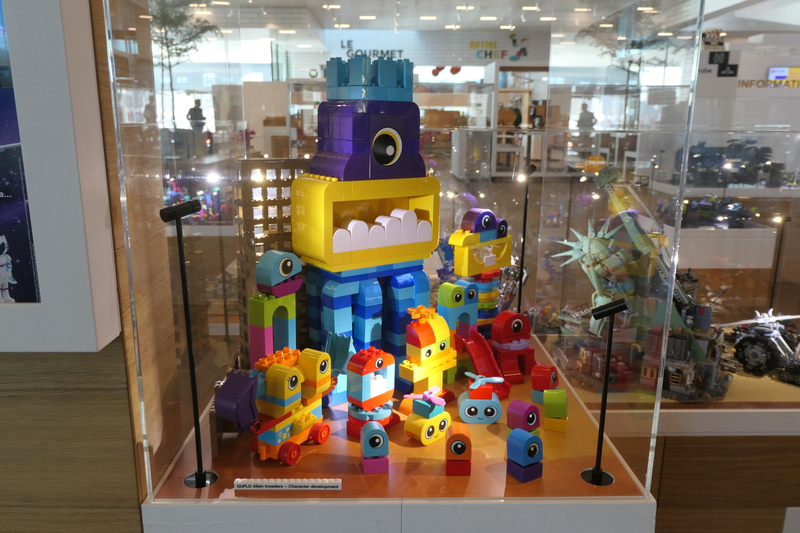 The LEGO House version is bigger but it appears to use a printed card for a larger eye which is totally cheating! That's where I'd seem a bigger one! I wouldn't say it's heating as those as development models - a lot of them also include painted parts too. 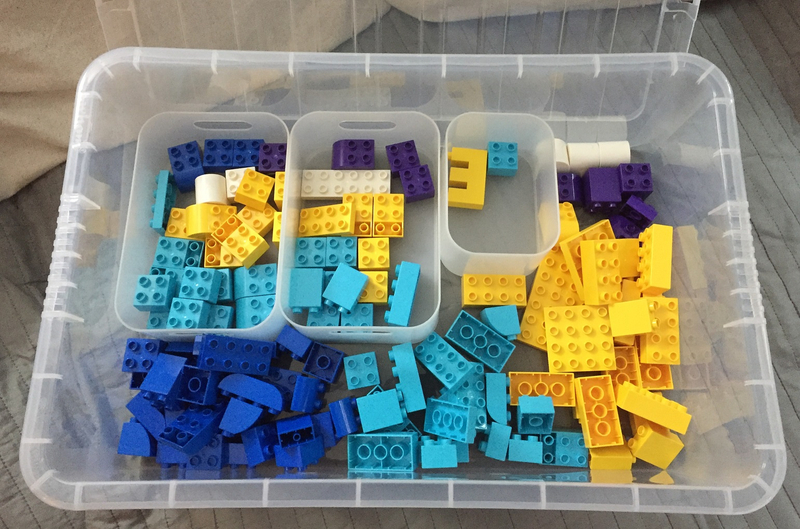 I really wanted to make some of the ones with the digger scoops like to one bottom left too, that's one of my favs of the Duplo Invader designs. Larger Duplo animals are often good for system builds but it's more of a heat than an actual use. OMG! Dude, I love this!